This week I've been reading some books that are soon-to-be published. Look for these in September. This is a wonderful book about the power of reading. A young boy is transformed from a nonreader into a reader who realizes that reading is about discovery and wonder. As a teacher of reading and a book lover, I am looking forward to sharing this book with my students. Read my review here. Mori and her friends have left Old Harmonie, the utopian community where they live, to keep their friend Ilana, who is more machine than human, safe. Never having left Old Harmonie, the world outside the fence is not like anything the friends could have imagined and there are challenges to their mission that they did not expect. The friends' adventure in a world new to them was interesting, but the bond between them and their loyalty to each other also drew me into the story. In the utopian world of Old Harmonie, traits of humans can be technologically altered so each person can meet their full potential. Mori questions this practice, as will readers. This sequel to The Firefly Code is as engaging as the first. If you are not already a utopian fiction fan, you just may be after reading Blakemore's books. Zig hasn't seen his dad in over a year and his mother won't give him any explanation as to why. Zig thinks geocaching will help him find his dad so he follows the clues around his town. Finding his dad is not Zig's only problem as his mother is unable to afford the bills and they must leave their apartment. Zig and the other characters in this book are facing realistic challenges in their lives. This book deals with a serious issue in a way that will give readers insight without being too sad. The book shows that the lives of others may be different than they appear on the surface. There is also a message of hope as friends, family, and strangers support one another. Fred, Con, Lily, and Max are traveling by plane to England when their plane crashes. The pilot has died and they are left alone to survive in the jungle and find their way home. There is lots of adventure as the children problem solve and figure out ways to eat and stay safe. In order to survive the children must also work together and, even though they are very different from each other, they become friends. This book about four brave children is for those readers who like adventure and stories of survival. Two best friends each tell their parents they are sleeping at the other's house, but really they have a plan, inspired by From The Mixed-Up Files of Mrs. Basil E. Frankenweiler, to spend the night at Ikea. This is a book about adventure, friendship, and healing. I think middle grade readers will be intrigued by the idea of spending a night alone at Ikea. Read my review of the book here. 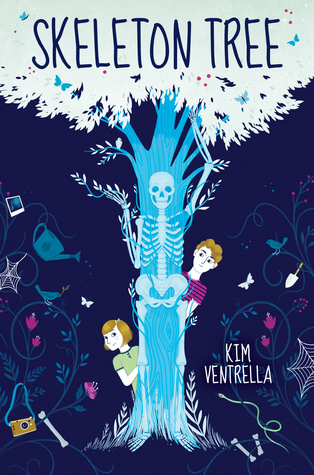 This is a unique story that starts with a boy finding a bone, poking out of the dirt, in his garden. He knows that after this day nothing will be the same. This boy, Stanly, has some difficult issues to deal with - his dad is not around, his mother can barely pay the bills, and his sister Miren is getting sicker and sicker. The bone grows into a skeleton which seems to be connected to Miren's sickness. The book is eerie, magical, and heart-breaking. Arthur is a groundling, part human, part animal. Only at the beginning of the story he is not known as Arthur, but simply as a number, the number 13. The only home he has ever known is The Home for Wayword and Misbegotten Creatures run by the very evil Miss Carbunkle. Arthur meets a creature, smaller than him, who convinces him to escape from "the Home." Arthur's adventure is a search for the place where he was born, but it leads him to a world he never expected. This book will capture imaginations with its fantasy and magic. Readers will care for Arthur who is kind-hearted and courageous. This book, which will be published in September, is also being made into a movie. I loved The Exact Location of Home and agree that Kate was able to introduce a serious issue in a way Middle readers will connect to. I will add the other books to my never ending reading list. Thanks for sharing! She is such a great author! 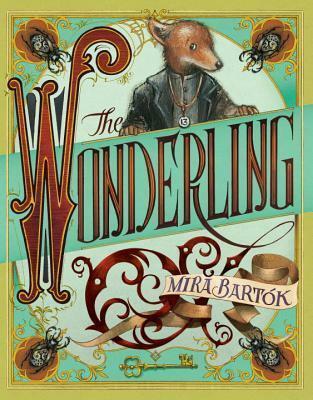 I attended a dinner with the author of The Wonderling at ALA and was completely captivated by the story, even though I'm not usually a fan of fantasy. I haven't read the book yet but it's pretty high up on my TBR pile. I want to read Miles Morales and Dear Martin and then I'll likely pick up the Wonderling. That must have been a wonderful dinner. She is a great storyteller. I just downloaded The Exact Location of Home from NetGalley. I'm seeing such great reviews of it today that I may need to move it up on my to-read list! 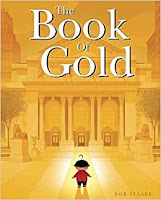 The Book of Gold is new to me so I will definitely add it to my TBR. I can't wait for some of our #bookexcursion books to come my way. It's been a fabulous summer of reading! I love books about books! I stopped reading temporarily after reading about The Daybreak Bond! I have been looking forward to the sequel to The Firefly Code and had to go and read more about it's availability! Then I came back and read Kate Messner and Katherine Rundell! What a fabulous reading week you have had. I really did have a great reading week! 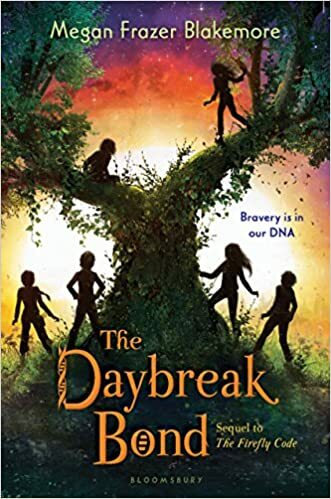 I was very excited to read The Daybreak Bond. I hope there is a third in the series. From the Mixed Up Files of Mrs. Basil E. Frankweiler was one of my favorite books when I was in fifth grade! 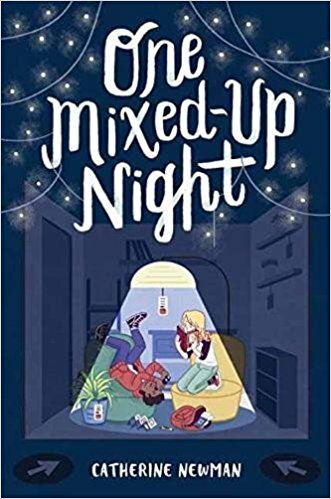 So, I'm really looking forward to reading One Mixed Up Night! Maybe it'll inspire a shopping spree to Ikea! 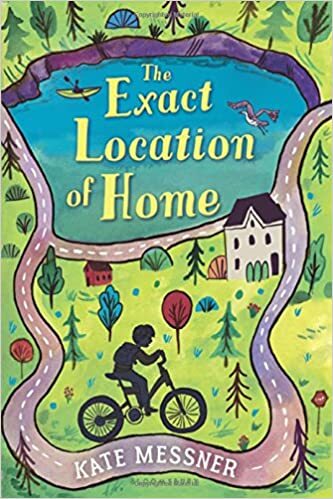 I have a NetGalley digital ARC of The Exact Location of Home, so I'll have to get on it! Have a great weekend! One Mixed Up Night has got me thinking about making a trip to Ikea! I haven't read any of these books, but I am adding them to my list of books to read! Thanks for sharing them! Oh my gosh you were a busy reader! I think all of these are on my to be read list except LOCATION OF HOME. I read that as an e-book a couple of years ago. I think it's the same book? 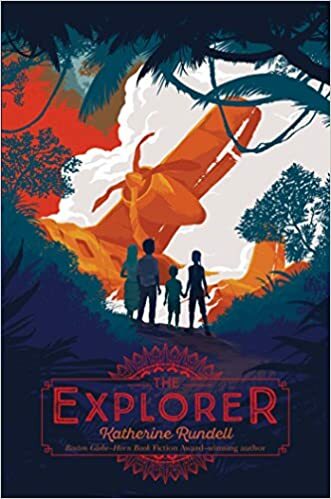 Oh, and I did read THE EXPLORER, which I loved! I hope kids love it too!